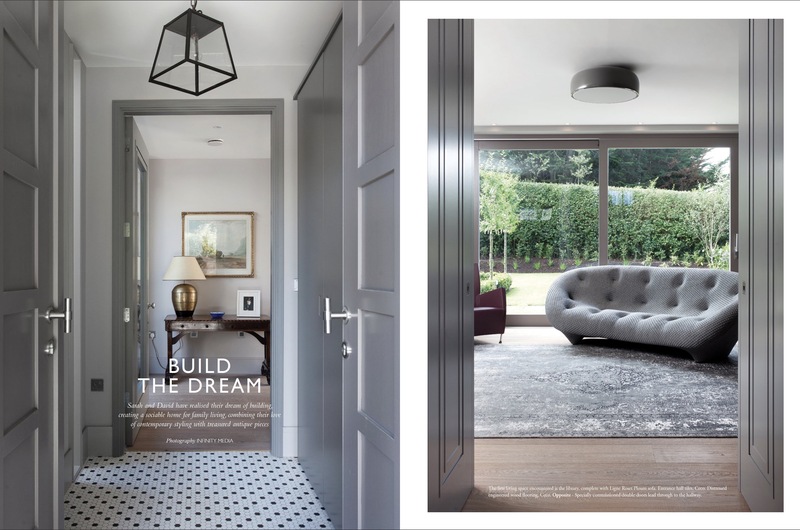 Beautiful Irish Interiors magazine features our clients David and Sarah’s new family home in Cultra. It was always David and Sarah’s dream to build their own home. After spotting a hidden gem of a site, tucked away at the end of a long private driveway, David and Sarah have been able to fulfil this dream. RPP Director, Simon Robinson, worked with David and Sarah to plan all aspects from the layout, interior finishes including custom-designed woodwork and staircase, even designing the architectural landscape of the garden. Everything was carefully considered and the end result is one that both RPP and our clients are immensely proud of. The full story of this build with images can be found at the link below.